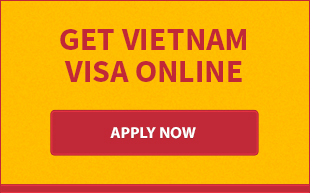 GET VIETNAM BUSINESS VISA AT KNOCK-DOWN PRICE: To value and keep our dear customers satisfied, for second time within 12 months, we have decided to reduce the price for business visa. As of 15th April 2017,the price drops by 15% for short visa and by 30% for long visa. We belive that the price can be lower in the near future and we are doing the best to give you the greatest possible value. Please look at the table in this post for details about our new price. Vietnam business visa, which is categorized as DN, LV, DT, is granted to those entering Vietnam for business purpose. The visa can be valid for up to 1 year with single or multiple entry. Except for businessmen from Visa Waiver Countries, all foreigners must apply for a business visa to do business or explore business opportunities in Vietnam. • Origin passport: your passport must be valid for at least 06 months according to requirements of airlines. If there is no blank page on the passport, a loose-leaf visa will be issued. • Application form: the form is available for download at official website of embassies. You can also get it directly at their office. The form must be completed, signed and attached with 01 passport photo. • Letter of entry clearance: the business partner in Vietnam will support you obtain this letter. You just need to provide them with your passport details, type of visa, proposed date of entry and name of the Vietnamese embassy/consulate you wish to collect the visa from. The letter will be issued after 5 business days. • Visa fee: each embassy/consulate has their own price for each visa type. Please contact with the nearest embassy to check Vietnam business visa cost. The application can be submitted in person or by mail. Processing time requires 5-7 business days excluding weekend and national holidays. 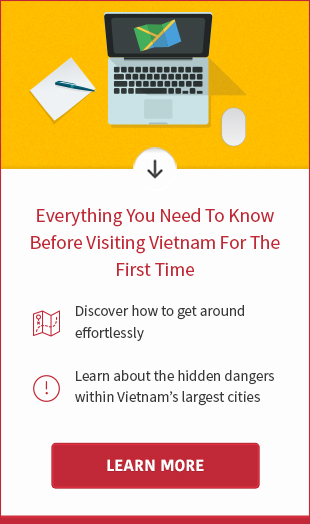 Visit here to get address of Vietnamese embassies in countries. Same valid but much easier, quicker and cheaper. That is what travelers talk about online application. Finding an agency offering online visa service is a piece of cake but selecting one agent that can guarantee your visa approval for affordable price is a matter. Therefore, make sure you are placing application at a reliable company. We, Vietnam Visa Easy, are a trustworthy company with 8 years experience working with immigration department. We promise to get your visa approved at the earliest. 100 percent of visa fee will be refunded in case of rejection. How it works? You send application by email to [email protected]and proceed with the payment through our secure link. Within 2-7 business days, we will email the approval letter with an entry/exit form. Last step, you bring these documents with valid passport and 01 passport-sized photo to arrival airport or embassy/consulate to receive visa stamp. • Passport copy: only the page that contains your personal data. • Proposed date of arrival: the visa becomes effective from this date. You are permitted to visit Vietnam anytime single/multiple entries during period of visa validity. No restrictions on length of days for each entry. • If you would like to get the visa at a Vietnam embassy/consulate, please provide address of the embassy. Processing fee: must be paid in full when you make application. Each agent offers different price for their service. The price varies according to visa category, processing time and country of passport issuance. Below are our charges for processing approval letter. If you need a receipt, please send request to us via email. Stamping fee: will be paid later when you arrive at airport or embassy/consulate. Either USD or VND is accepted but payment must be made by CASH. The immigration officer will issue a red receipt after you pay stamping fee. UPDATE IN MARCH, 2019 The 6 months and 1 year visas are temporarily not available for non-US citizens. • Origin passport: should be valid for at least 6 months. Otherwise, the airlines will refused you boarding the plane. When you get visa stamped at embassy office, you may be requested to pay some service fee. Otherwise, the stamping may be delayed by several days. The immigration officers at airport sometimes raise difficulties to applicants for long-term visa; thereby, the stamping assistance service is neccessary to avoid any trouble on arrival. Every airport sets up a visible “Landing Visa/Visa On Arrival” counter. When you get to the counter, be prepared to hand over above documents. Don’t forget to check for errors on the visa while you are still at the counter. Have questions about Vietnam business visa? Quickly contact us at +84 966 53 93 63 (Ms. Fiona) or email to [email protected]You can also contact via skype: vietnamvisaeasy.